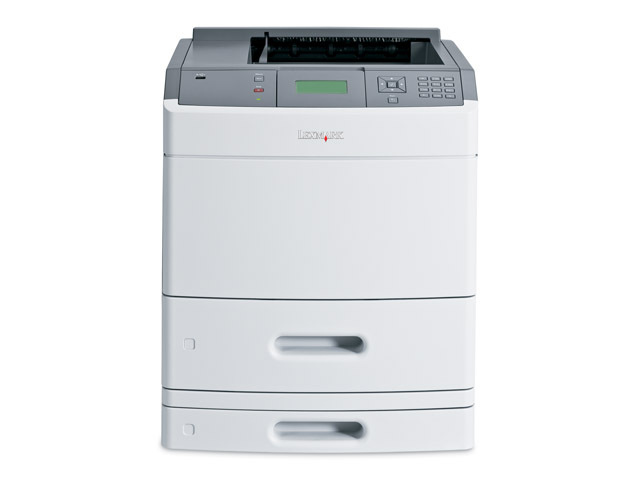 The ultimate departmental workhorse, the Lexmark T654dn offers maximum power, flexible paper handling, low running costs and a solutions-ready framework for endless workflow possibilities! From network security to user-access restrictions, you’ll be fully equipped to keep valuable data safe and sound. In addition to IPSec, SNMPv3 and 802.1x network security, the Lexmark T654dn offers an alphanumeric pad for easy PIN authentication, plus encryption and disk wiping to secure the optional hard disk. Combines true 1200 x 1200 dpi with automatic darkness adjustment and pixel-boosting technology to ensure high-quality, professional documents every time. Nowadays there are apps for just about everything, from tracking your diet to balancing your checkbook. But what about managing your documents? 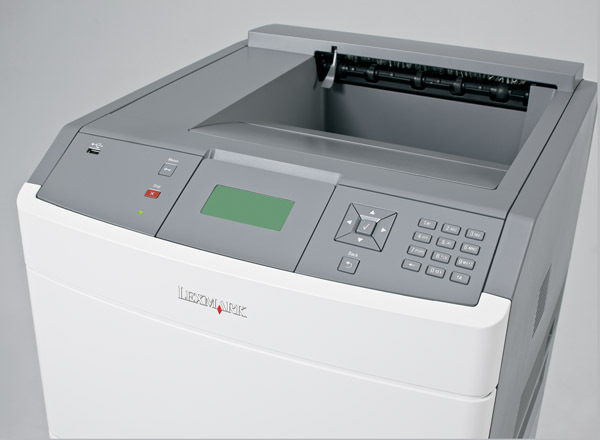 The Lexmark T654 family is the ideal platform for tapping into serious business apps that can help you save paper, cut waste, lower costs and enhance document security. See Related Links to learn more. Identifies the size and complexity of your job and automatically calculates the optimal speed—quicker time-to-first-page for short jobs and more pages per minute for longer jobs. No more letting missing media derail hours of print time. The innovative Job Waiting feature will simply hold that job aside, letting others go on working without interruption (requires the hard disk option).